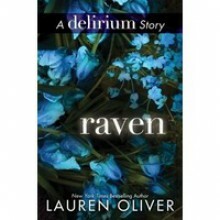 Raven by Lauren Oliver has descriptive copy which is not yet available from the Publisher. I read this short story after I had already finished the rest of the series, and that just made it even sadder. I love the enigmatic Raven and I wish this story would have been longer! *spoiler alert* It was really nice to have a look in bits of Raven's life like her life in the Wilds with Blue, meeting Tack and upon helping Lena save Julian. This was a nice back story. Can't wait to grab a copy of Requiem.